Is it still possible to fake your own death in the twenty-first century? With six figures of student loan debt, Elizabeth Greenwood was tempted to find out. So she sets off on a foray into the world of death fraud, where for $30,000 a consultant can make you disappear—but your suspicious insurance company might hire a private detective to dig up your coffin…only to find it filled with rocks. 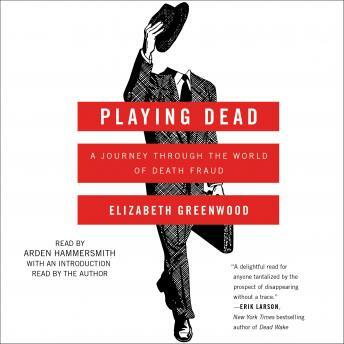 Playing Dead is an utterly fascinating and charmingly bizarre investigation into our all-too-human desire to escape from the lives we lead, and the men and women desperate enough to lose their identities—and their families—to begin again. Not what I expected. Who cares about celebrities and rumors of their faked deaths? A book written tongue in cheek with no real depth or research. Just a hastily written conglomeration of anecdotes. I wasted 7 hours of my life. I really enjoyed reading this book. I will be downloading it for future use.